Priyanka Chopra, Prakash Jha, Manav Kaul et al. Babloo Pandey (Manav Kaul), the MLA of Bankipur district and his brother Dabloo Pandey (Ninad Kamat) run a jungle raaj in their town of Lakhisarai. They are grabbing land for a power plant whose financiers are backing their party politically. The home minister, Ramakant Chowdhary (Kiran Karmarkar) appoints Abha Mathur, IPS (Priyanka Chopra) as the SP expecting her to be soft towards the criminals and supportive to him, being her mentor as well as the home minister. But she goes all out against the criminal brothers. Her subordinates get encouraged by her brave acts against corruption and slowly bringing the jungle raaj to an end. Bhola Nath Singh aka B.N. 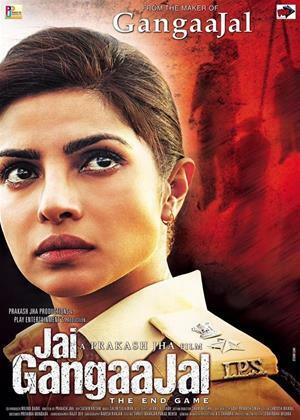 Singh (Prakash Jha) is a corrupt circle Officer (DSP) who has helped the brothers for a long time by using legal loopholes and other corrupt ways to keep them out of harm's way in return for financial favours and political support. As the brothers feel cornered, Dabloo, out of desperation makes the mistake of kidnapping an orphaned teenage girl Sunita (Vega Tamotia), who and her younger brother Nagesh (Ayush Mahesh Khedekar) refuse to give away the land. After the kidnapping, Dabloo rapes and kills the girl and hangs her from a tree showing this as a suicide just as her father had committed suicide too under pressure of selling the land. Singh comes to his senses after seeing this brutal crime and tries to arrest Dabloo Pandey, which starts a riot in the town inducing Nagesh, the younger brother of the murdered girl to use his belt throttle Dabloo's neck and killing him, seeing which the villagers gather around some more goons and the corrupt Sarpanch and kill them and hang them on the tree claiming it to be suicides. This also starts a chain reaction where corrupt people are killed in similar manner elsewhere. Abha is frustrated and is unable to control these illegal killings. She tries her best to control the law and order. Singh is attacked by Babloo and his goons and gets injured. Babloo frantically searches for Nagesh, who has killed Dabloo and is now hidden away by Singh from Babloo. Babloo's goons locate Nagesh and take him in a gunny bag to Babloo, who wants to eliminate him by hanging. But in a final showdown, Babloo Pandey gets arrested and the reign of corruption, terror, and anarchy comes to an end.